Senior advocate Pinky Anand has been appointed as the seventh Additional Solicitor General, becoming the second woman to hold the post after Senior Advocate Indira Jaising. She will join the team of six Additional Solicitor Generals, including L. Nageshwar Rao, Maninder Singh, Neeraj Kishan Kaul, P.S. Narasimha, P.S. Patwalia and Tushar Mehta. Meanwhile, Bar Council Member S Prabhakaran, senior advocates NR Chandran, G Rajagopalan and former Karnataka Advocate-General Uday Holla are the candidates for two posts of Additional Advocate General to the Madras high court. A Doctorate of Law, she did her LL.M (1980-81) from Harvard Law School, USA and is an Inlaks Scholar. She was also the Additional Advocate General for the State of Uttarakhand and has represented and been on panel of several Government organizations and PSUs. 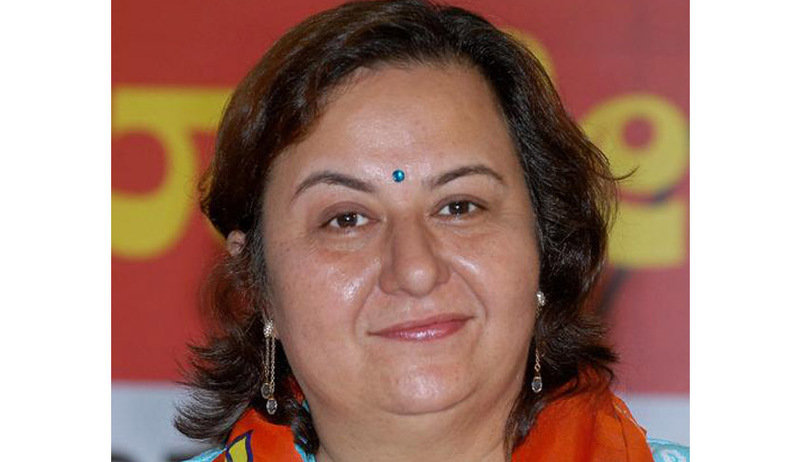 She was the All India in-charge Legal Cell, BJP, spokesperson BJP and a Member of All India National Executive of BJP and has represented the party at various levels, international and national. She is recipient of French National Order of Merit by President of the French Republic, directly at the level of “Officer”. She is Chairperson, National Committee Law, ASSOCHAM Ladies League. Anand has received several awards for excellence in law including FICCI and Bharat Nirman. She is a member of governing body of the Bar Association of India. The Solicitor General of India is the secondary law officer of the country, assists the Attorney General, and is himself assisted by several Additional Solicitors General of India. While Ranjit Kumar is new Solicitor General with effect from 06 June 2014, Mukul Rohatgi was named as the 14th Attorney General of India.